I recently attended several wireless audio seminars: the SynAudCon Making Wireless Work event in Dallas, as well as the Dale Pro Audio Wireless Summit and Sports Video Group Summit events in NYC. These types of events are held every so often by equipment dealers, industry groups, and manufacturers. I wish I had time to go to more. These seminars feature some of the most knowledgeable folks in the industry providing updates on the FCC spectrum auction results, the latest manufacturer rebate programs, T-Mobile's 600 MHz deployments (yay! they're here), and countless tips and techniques for managing wireless in a world where more devices are competing for less spectrum. I recommend getting away for a day and attending to get hands on and learn from some of the best. I guarantee you will leave feeling more informed with practical new things to try. 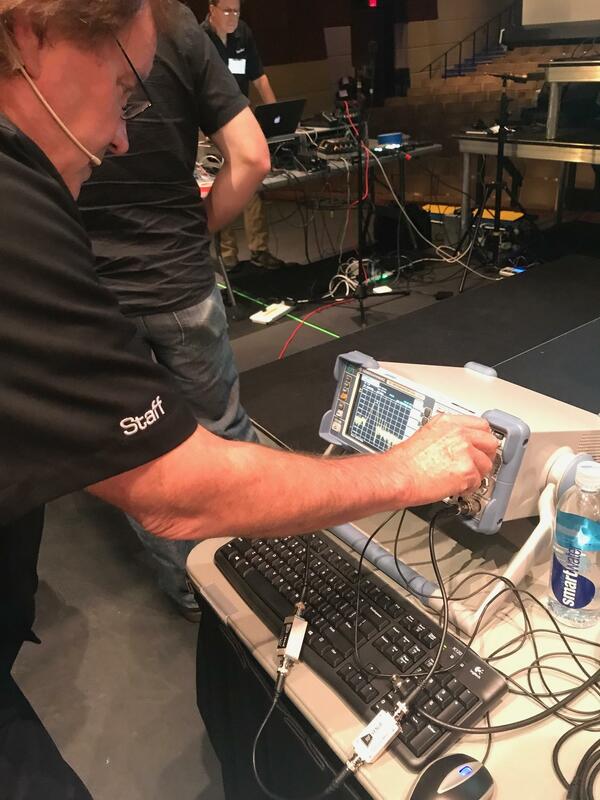 Tim Vear, Senior Applications Engineer from Shure and a wonderful hands-on instructor, putting some RF Venue bandpass filters through their paces at SyndAudCon's Making Wireless Work event. So following these events I've been thinking about the overall state of the industry and its response to the changing regulatory and commercial landscape for professional wireless audio systems. I came away with a couple short themes I thought I'd share. 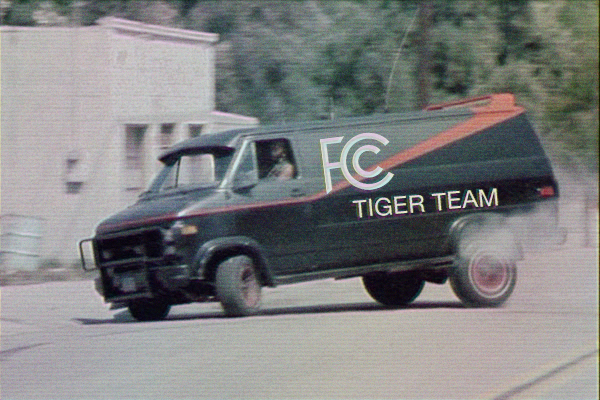 Yes, the FCC has rapid deployment TIGER TEAMS, which sounds awesome. But there is no magical geo-location database, no manufacturers' latest whizbang DSP and no FCC enforcement van on the way to protect you from interference or signal dropouts out in the real world. Your 2-hour live event isn't a priority at the FCC, which looks more like an arm of the treasury when it's funding tax cuts with spectrum auctions as it moves to cut field offices and agents by over half. So this looks more like a self-policed system, where good communication among stakeholders and handshake cooperation will be critical to keep it functioning. And hopefully, as new T-Mobile sites and white space devices start showing up in the wild, there's more momentum around getting frequencies for wireless audio better represented and protected. Which brings us to the topic of Part 74 licensed frequency protections. The qualifications for getting a Part 74 license include a minimum of 50 channels of wireless used "often" by a professional sound company or large venue operator. That should cover a lot of production companies and end users, if they follow through an application to approval and submit frequencies to the database. But the vast majority of wireless audio systems in operation are significantly smaller than 50 channels. We ran a survey and found that most (in our sample) were 8-16 channels Should those systems not be afforded license protection? I just heard at the SVG Summit that the 50 channel requirement may be relaxed, but we'll see. Further complicating matters for those operating smaller systems is they are mostly unaware, uninterested, or both when it comes to something like online frequency registration 30 days ahead of their event. Can it be made dead simple or even automatic for a larger part of the market to participate? It's no surprise that solid system design, RF spectrum analysis, and frequency coordination were also highlights at each event. Certain aspects of system design that have not necessarily been a focus in the past seem to be gaining airtime these days. Fixed and tunable bandpass filters, well-designed distributed antenna systems, RF over fiber links, and advanced antenna techniques are among them. What's encouraging is these tools and techniques greatly improve system performance and are becoming more affordable and easier to use. This may well be the biggest challenge ahead. It's one thing to turn on a mic system, auto-scan it in clear spectrum and walk away. It's another to invest in spectrum analysis, software, filters, then optimize for SNR with various antenna techniques. 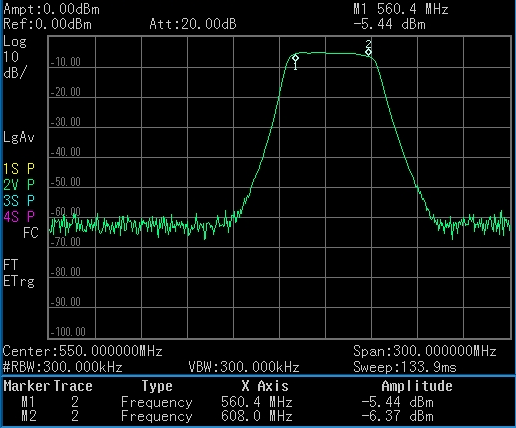 Spectrum trace showing bandpass filter performance 560-608 MHz, with 40 dB side rejection. Covering Shure G50/H5, Sennheiser A/A1 band, Lectrosonics Blocks 19,20,21. The topic of spectrum efficiency is also a recurring theme. In the past 10 years the new digital wireless systems that have come on the market have had a postive impact on efficiency. Lower power, high density operation are now much more prevalent. That efficiency trend and migration to digital looks like it will continue as analog systems are sunset from some manufacturers' product roadmaps. We'll be highlighting these system design topics in future posts. As always please post comments below- what are your plans? Are there other conferences and trainings you'd recommend? Any tips or techniques let us know.